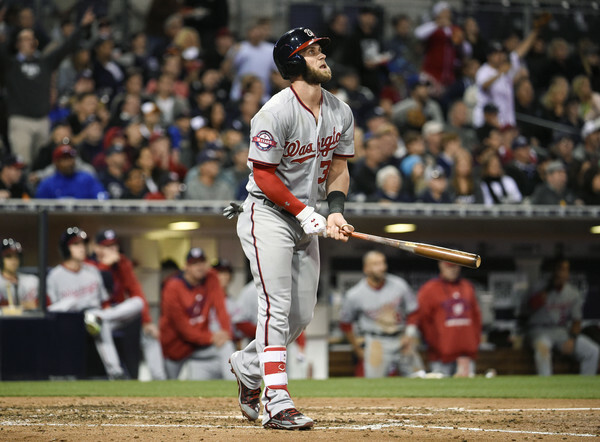 On the night that the Washington Nationals caught the New York Mets in the win column, Bryce Harper wrestled away the National League lead in home runs from Todd Frazier. He homered off a guy who isn’t famous enough to have a post tag on this blog named Shawn Kelley. Kelley was just trying to mop-up for Odrisamer Despaigne and Harper caught an off-speed pitch for his 13th home run of the 2015 season. Harper also singled twice and walked. His current slash line sits at .317/.460/.690, which is Barry Bondsian. If he manages to stay healthy, he’s going to put together a special season for everyone that has been so patiently or impatiently waiting on it.